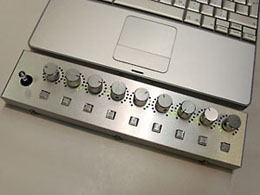 “DJ” has come to mean, oddly, generic design and not enough controls. But here, there are some interesting ideas, like the velocity-sensitive pads, color-coded buttons, and joystick. If the design remains flexible, people could find it useful. 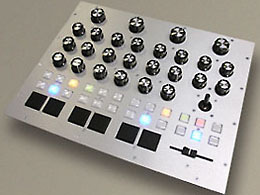 Here’s the next question, though: can someone think of a hardware interface that truly matches Ableton Live, rather than combining existing controls in a slightly different configuration? Kenton is asking for feedback. I’m sure you have plenty of suggestions.